Off to Castel Sant'Angelo? See our insider advice for a queue-free visit. We also inform of opening times and phone numbers! 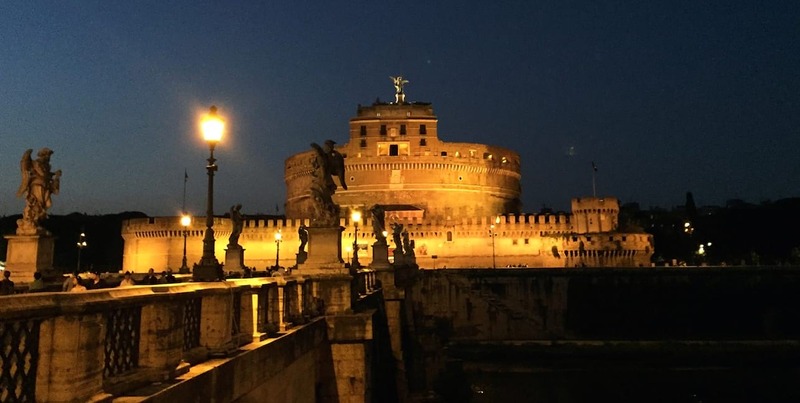 The best time to visit Castel Sant’Angelo is in the evening: no crowds will be left, and the view is amazing, especially at the sunset hour. This is one of the best spots to take photos of the city, so plan to arrive about 1-2 hours before the sunset to see all the rooms first and catch the sunset on the terrace bar, looking at St.Peter’s dome. During peak hours (in the morning) the queue can take up to one hour. When the number of visitors is too high, the museum’s administration can apply limitations for the entry, so the queue may become even longer. Friday night is a great option to discover Castel Sant’Angelo without large crowds, in particular if you go just for a weekend! Avoid the first Sunday of the month, when the entrance is free. The museum will be packed with visitors! During the summer special events take place, with different concerts, exhibitions, room openings. Passetto (an elevated passage that links the Vatican City with the Castel Sant’Angelo, an emergency route for the Pope) is partially open for a couple of weeks between July and September. Check the information on the official website. The busiest periods in Rome are April-May and August-October. Prefer the winter period (except for Christmas and New Year holidays) to get a more intimate impression of the city and better rates in hotels, it’s the lowest season. June is the calmest of the summer months and it’s not that hot yet, so it could also be a good time to visit Rome. Off to Rome? Check out our tips for the main tourism sites of the Eternal City to save time and avoid waiting in queues! Feel free to comment or give your opinion on Castel Sant'Angelo. However, please agree to respect our terms. Please don’t post defamatory, insulting or disparaging comments- as we will have to moderate them. Instead, explain what happened in a factual way.